Songs Of My Life #29. This us another of those songs that brings back so many memories of my younger years. When this was released I desperately wanted to get the album (Toto's IV) but I was too young to be able to, and birthdays were too far away. So I fell back to the old standard of taping it into a mixed cassette from American Top 40 on Sunday night with Kasey Casem. Regrettably I love singing this song but do it no justice whatsoever. Photo of the Day #29. Yep. It's End of Month time once again. And here I am, with all of my co-workers all at home enjoying their afternoons while I wait for useless data to collate so I can do more calculations and reports. Yay for bookkeeping. Hope you are all choking on your beer. Songs Of My Life #28. Everyone of my generation, and thus the kids of those people, all know the hit song "Kids in America" by Kim Wilde. It was one of those catchy songs that stuck in your head, and that you couldn't help singing along to when it was on, especially the part after the chorus that went "La la la la-la-la la"! It was also a thing of us when kids to be somewhat patriotic about the lyrics, and insist on singing "We're the Kids in Australia!" What many people don't know is that there is a definitive version of this song, one that was the only single released by that fine example of a band, Lawnmower Deth. So, here in all of its glory, is the cover version of "Kids in America" by British thrash band Lawnmower Deth. Enjoy! Photo of the Day #28. At least I didn't forget. Photo of the Day #27. The Walkers & Talkers set up at Shellharbour's Relay For Life. Songs Of My Life #27. In October 1989 I made my highest 1st Grade score at the age of 20, which looking back now is prehaps somewhat of a disappointment. At the time though, getting to 97 was, I felt, an achievement in itself. The most amusing part about it (for some) was that I actually did it while playing for Jamberoo, against my former club Kiama. Some have never let me forget that, especially the fact that I was never able to repeat such a high score for Kiama 1st Grade upon my return. Photo of the Day #26. Setting up the tents for tomorrow's Relay For Life at Albion Park. As you can see the rain is not far away. Right on schedule. Songs Of My Life #26. A couple of years ago there was a great reformation as such of the band lineup that recorded the first three Dio albums - minus of course the sadly departed Ronnie James Dio. After some gigs playing those great songs, the line up of guitarist Vivian Campbell, bass guitarist Jimmy Bain, drummer Vinny Appice and keyboardist Claude Schnell, along with new lead vocalist Andrew Freeman decided to go the next step and record an album of new material. The album Heavy Crown was released last week. One of the songs of it is here, Martyr, which to me contains the best of that old sound and the new attitude. It's well worth a listen. Photo of the Day #25. This is Albion Park's version of the Running of the Bulls. The Running of the Cows! This was my first memory of The Police, though it is more than possible that I had heard other singles on the radio before this was released and didn't realise it or just don't remember it. I do know that this song flooded the airwaves during my final weeks at Minnamurra Primary School, which in my head then got ties in with the girl I liked at the time, Stephanie Hill (no, she had absolutely zero interest in me, but then that wasn't unusual...). My strongest memory of this song is when my sister Angela and I went to school holiday activities at the school, and on the final day we went on a bus trip to Foxground to the animal park there. Justin Anderson and I had spent a lot of the week together, and as we sat together on the bus taking us down, this song came on the radio, and we both began singing it together, thus discovering our mutual love of the song and, presumably the band. Which we then proceeded to sing together for the rest of the day. Why has that stuck in my head for 37 years? I really couldn't tell you, except that one of us went on to be a pretty handy musician and vocalist, and the other did not. 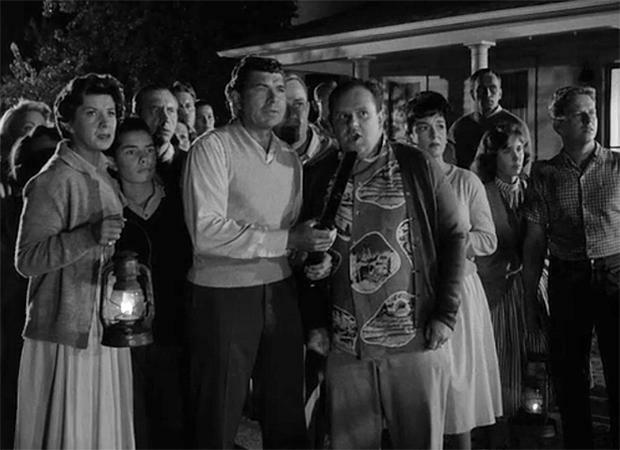 One of the giants of the genre, this is the episode more than any other that draws people in to the Twilight Zone and makes them fans of the series. It is the one that contains the best of everything that makes this series the top shelf that it is. It’s a simple idea in concept, but the way it is written from start to finish, twining and intertwining the characters and relationships along with their actions based on what is happening around them is just brilliant. You can see the fear and anger that builds from within as each piece of the story falls into place, switching from one person or family to another at the drop of a hat. Right up until the very end of the episode, when all is revealed and the viewer finally understands exactly what is happening and why it is happening, this holds your attention and keeps you questioning the reality of what is occurring. Rod Serling has written some brilliant episodes, but this is perhaps his masterpiece given the message that it sends amongst all that is occurring within it. The performances of everyone involved also promote it to genuine brilliant status. I can argue for any number of episodes to be in my list of favourites. I don’t think I can argue any of them to be ranked above this one. Photo of the Day #24. Josh has just ducked under a full toss delivered by his sister Madeleine, and been bowled middle stump (you can see the stumps rocked back). He protested that it was a no ball for over the waist. It gave me great pleasure to inform him what he and his siblings usually throw at me - "It's Backyard Cricket rules". There are no no-balls, and Josh was very reluctantly on his way. Songs Of My Life #24. I loved Woodface when it was released, as it marked the coming (albeit for a very short time) of Tim Finn into the Crowded House fold. I was hoping for utter brilliance as the majority of the songs were written by the Finn brothers together, which we didn't immediately get from the first single from the album, "Chocolate Cake". However, this was the song, the one that started the train of singles from the album that should all have been top ten singles, but were pushed out by the crap that was being released in the early 1990's. Neil Finn's amazing vocals along with the harmonies through the chorus are simply superb. I taught myself this on the bass in recent years, and still enjoy playing and singing (both poorly) it when I put it on. Photo of the Day #23. A bit tangy, a bit tingly. Lunch today provided by Hunger Busters with extra meat and cheese and chilli and BBQ sauce. None of us that grew up in the 1980's would have missed nor could forget that wonderful anarchic TV series from England called The Young Ones. It's hard to believe only 12 episodes were made, as the shows provided so much laughter and entertainment that entire episodes were committed to memory line for line. This song was released to raise money for Red Nose Day, incorporating as it did (P)Rik's hero for the series Cliff Richard and one of his most famous songs, re-done in a way only The Young Ones could have done. For those too young to have watched, nag your parents to be able to see it. For those of us too old, watch again and reminisce. I love Mirror Image. It’s another brilliant one room staged story, with minimal characters and a lovely creepy middle of the night setting in a storm. What better way to have something happen like occurs in this episode? Millicent Barnes faces a conundrum that completely freaks her out. In the almost deserted bus station while waiting for her bus, she is faced with several occurrences that don’t make sense. She asks the man behind the counter how long the bus will be, and he informs her she has already asked that twice before – which she hasn’t. Then she sees her bag in with the tagged bags, but she has her bag next to her at the bench she has been sitting on – but it is now gone. Finally, when she goes to the bathroom and looks in the mirror while the door begins to close, she sees herself sitting at that same bench, while she is standing in the bathroom. What the hell is going on? The episode moves along from here in fashion. Millicent begins to question her sanity, which is what others around her are doing as well. Slowly she comes to form an opinion of what may be happening to her, but can she convince everyone else it is true? This is a terrific episode, creepy and inconclusive once again until the final scene seals the story plot line for everyone. 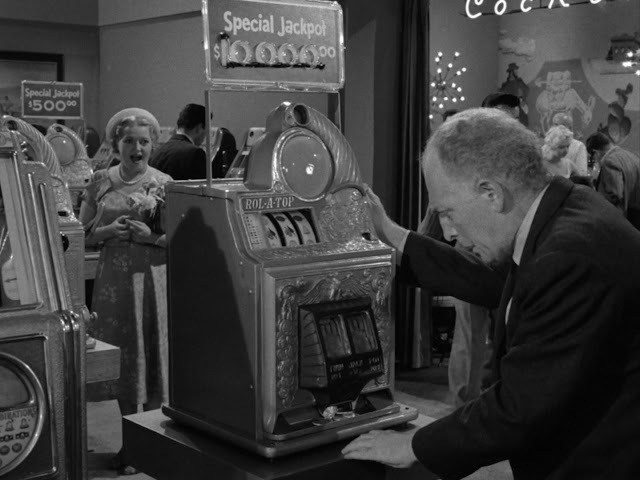 It’s yet another example of one of the best types of Twilight Zone episodes. Photo of the Day #22. Invasion of the Killer Cows! Songs Of My Life #22. For those of you who have been following these wonderful series of songs, you will be familiar with yesterday's post, which included the story of the 90 minutes of punk spectacular songs and bands that was distributed to our school group by one Greg Mould, the elder brother of Lee. Another cracking story from Galbraith/Rowling, extending the relationship between private investigator Cormoran Strike and his secretary/partner Robin Ellacott to new boundaries, as both are entwined in a serial killer's plot to do away with both of them in different manners for different reasons. Rowling's writing and narrative is just superb. Her ability to flesh out her characters, to keep the several strings of the story flowing without interrupting the story as a whole, and to give enough clues as to the finale of the book without giving it away completely is just magnificent. In Cormoran Strike we have a wonderful modern detective, and in Robin we have the perfect foil. I hope there are many more of these books to come, because they keep getting better. My real introduction to punk music (apart from pieces of The Clash that had filtered through to radio via the single "Rock the Casbah") was via a mixed 90 minute mixed tape of various bands that came to most of our group from our mate Lee Mould, whose brother compiled it for him for education purposes. This was one of the two songs on it from a band called Dead Kennedys (the other being "Kill the Poor"), and it was the song that encouraged me to seek them out further, which led to me getting their truly magnificent "Fresh Fruit For Rotting Vegetables" album. Dead Kennedys had no fear in their lyrical bombardment of those things that really pissed them off, and their wonderful punk accompaniment sets it of brilliantly. Photo of the Day #21. 8 years old, self taught and with no pushing from his father. This is Josh yesterday bowling his leggies and wrong 'uns. Like I said, he has taught himself, and he is already getting them out beautifully. The theme of turning up in a town where there seems to be no one around is a recurring one in the Twilight Zone, but certainly here there is a bit levity over what is happening. When three men land their craft on an asteroid due to a lack of fuel, they are surprised to find that it seems to have gravity and breathable air. As they search further, they are surprised to find places that seem to be set up scenes, deliberately fashioned, but the people they find are like statues, non-responsive and unmoving. Except one. Although you will find yourself screaming at the three men from earth not to imbibe anything they are offered by the mysterious Wickwire (to no avail of course) this episode is reasonable enough, even if the explanation given for why the things are there and why it is necessary to maintain it is not really… acceptable. Photo of the Day #20. It's a fun day out at Keith Grey Oval as the Brains Trust continue to work out how to fix the roller that has been stuck for four weeks in the middle of the oval and get it back to the shed. Songs Of My Life #20. Slayer's "Reign in Blood" album still stands as a monument to the magnificence of thrash metal music. 30 minutes of full on, non stop ridiculously fast metal thrashing that changed the face of music. On an album full of brilliant music, this song reigns supreme for me. Probably my favourite Slayer song, it is driven by the genius of Dave Lombardo on the drums and the brilliant guitaring of both Jeff Hanneman and Kerry King, while Tommy Araya tries keeping up on vocals. Another middle-of-the-road episode that is well enough written and acted, but just doesn’t grab me as one of the best around. 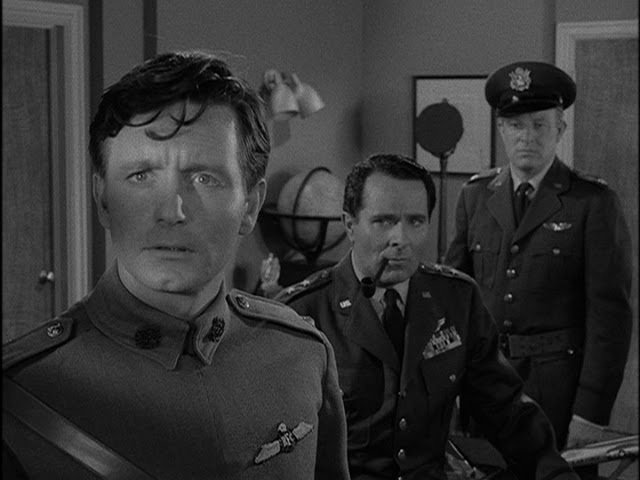 Rod Serling returns to his war theme as he tells the tale of William Fitzgerald, who begins to see a mysterious light pass over the faces of men who are about to die. As these start to come true, he obviously becomes a little bit unstable, and when he mentions it to his friend and superior he begins to think it may be battle fatigue. But the omens continue to come. 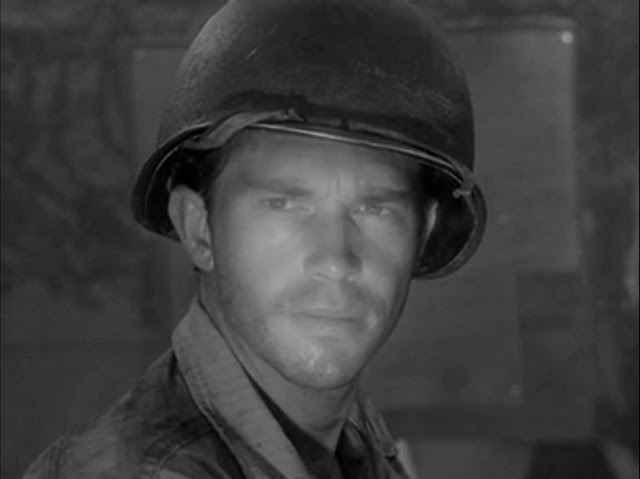 The tale comes to a predictable end, and though it is a tome about the inevitable death that surrounds war, there is no lightness in the episode to lift you as happens in the best Twilight Zone episodes. Songs Of My Life #18. For a few enjoyable years prior to getting married I was in a band with several other good friends. As with most bands we were terrible. Our guitarists were all awesome though, and when we 'recruited' Kearo from his other band we had a great drummer... well, let's amend that to "Bill was terrible" then. But we had a great time, and played some fun gigs. After Black Sabbath there was Ozzy Osbourne. This live version of "Crazy Train" came out on the Tribute album in early 1987. Our group at school had actually had it for about a year earlier. How? One of our group, Kearo, had been to Sydney to peruse the second hand record shops in early 1986, and came across a record in a plain white cover, with "Iron Maiden - LIVE" written on it in black texta. When he brought it home and put it on, he was obviously surprised to hear a voice that sounded a lot like Ozzy Osbourne on it and not Bruce Dickinson. Further listening found it to be Ozzy live with Randy Rhoads on guitar. Goldmine! You can imagine our laughter when the Tribute album was eventually announced and released, given we had all heard it a thousand times by that point. This is still one of Ozzy's greatest songs. Sing along with it! I thought you were going to go wild tonight! I guess I really wanted to like this, because my 12 year old daughter really liked it and wanted me to read it. But therein lies the problem. 12 year old girl vs. 46 year old Stephen King fan. This reminded me far too much of The Hunger Games which I really struggled with, and while there were parts of this book that kept and even increased my interest, in the long run it felt too contrived to hold my interest to the end. I finished it because I don't like not finishing books that I've started, but I have no desire to continue past this book to see what happens in the concluding stories of the series. It is fair to say that my daughter has done so and has enjoyed them all. The right audience feels the strongest about it. 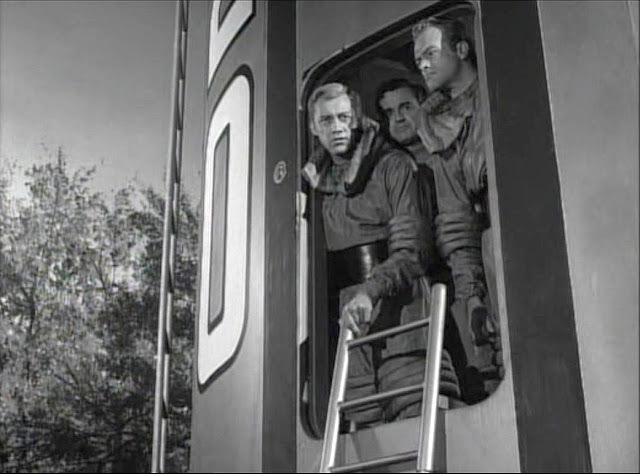 Oh this is a beauty, exactly the kind of episode that makes The Twilight Zone so brilliant. The story is excellent and the performances within in are top shelf. Confusion reigns at an airbase in France, when British national Terry Decker lands his biplane after being lost in strange white clouds. He is unsure of what is happening as he observes aircraft on the runway that are far advanced from his own, while the Americans in charge of the base cannot understand why he is flying such an antiquated aircraft. It isn’t until they discuss the date that things become even less clear. Decker insists it is 1917, while the Americans inform him it is 1959. More problems arise when Decker informs them that his flying mate he has just ‘left’ is named Mackaye. He is then informed that this Mackaye is now Air Vice Marshall and is on his way to the base as they speak. This is the first episode that was written by Richard Matheson alone, and it is a ripper. The way he winds the characters through the episode, tying up all of the questions and loose ends by the completion is just fantastic. The performances, especially by Kenneth Haigh as Decker are perfect, and keep you in suspense until the closing act. Throughout my final year of high school in 1987, our Year 12 was lucky enough to have an exchange student from Norway called Hans Hoie. He was a character was Hans, and he got on with everybody, but I guess he fitted in with our nerdy group best. Better yet, he was the bearer of heavy metal gifts from the Nordic lands. I especially remember a party at the Boneyard in Kiama Downs late that year, and as always we had our portable tape deck to listen to music. Hans had brought along an album called Walls of Jericho by a band called Helloween. And it was amazing. The opening track is this one, "Ride the Sky", a song that is still in my favourite ten tracks of all time. I can still see us on that night, the song blasting out of the tinny speakers, drinking and being amazed at the power and ferocity of the song and Kai Hansen's vocals. One of the highlights of my life came 19 years later almost to the day, when I finally saw this song performed live by Gamma Ray (the band Kai Hansen formed after he left Helloween in 1988). Hans returned to Norway, and we traded letters and tapes of albums over the next couple of years, until he went in for his mandatory year of military training, and we lost contact. Whenever I listen to this song, I still think of Hans and those heady days of the conclusion of Year 12. Photo of the Day #16. Watch out! It's Sideshow Bob!! Photo of the Day #15. Maddi and Josh are at the bus stop after another day of school. Now they just have the long walk aaaaaaaaaall the way up the hill while I sip on my lemon lime and bitters. Songs Of My Life #15. My favourite Bowie song of all time is still probably "Suffragette City", with that great opening riff, the sax through the song with the piano backing, with Bowie singing at himself and with himself. It is spectacular, just one of those songs that grabs you from the first time you hear it and it never leaves you. That is "Suffragette City" for me. Wham bam thank you ma'am! This is an ugly episode, in that it doesn’t leave any goodwill at the end of the episode like most of the Twilight Zone does. The fact that a couple turn up in Vegas and then 24 hours later one is dead doesn’t really engender to a happy place. Of course, the moral to the story is clear. Gambling is an addiction, and it can and does destroy people. And utilising what Franklin Gibbs believes is a possessed poker machine, which is deliberately forcing him to inject all of his money is a reasonable way of bringing this to the fore. The blurring line between what Gibbs sees as reality and what everyone else sees as reality is what makes this so well done. In the long run though, it doesn’t grab me as one of the better episodes. Cleverly done, yes. Presents a moral dilemma, yes. A good episode? Meh. Songs Of My Life #14. This is another of those songs that got into my head when it was released, and I developed a bit of an obsession with. I had always loved Split Enz and their music, and especially the songs Tim Finn sang. When his solo album came out and this was the first single released from it, I loved it. I spent countless hours trying to get the perfect copy taped off the radio, without any talk from the disc jockey at the start or end of the song. Not much has changed in some instances since then. I bought this album on the strength of singles such as "Original Sin" and "Burn For You", but my favourite song quickly became this quirky song stuck away on the middle of side two. I always loved its moodiness, set off nicely by the bass line, synth and the sax. Michael's understated vocals topped it off nicely. Generally I prefer INXS's faster and more upbeat songs, but this has always been one of their best for me. Photo of the Day #12. Well it does look like his father at 3am, but Josh is actually at a friends birthday party at the RSL disco, and he is "it" for bullrush and has to close his eyes and count to 20. I am drinking beer for him though. If memory serves, this is another episode where I read the novelised version before I saw the actual filmed one. 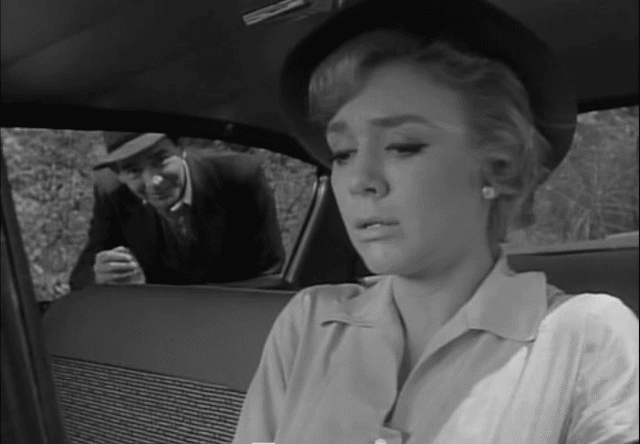 Either way, I think the twist in this episode is easily predictable from early on, especially when the same hitch-hiker is being seen by our protagonist all the way along the road she is travelling. 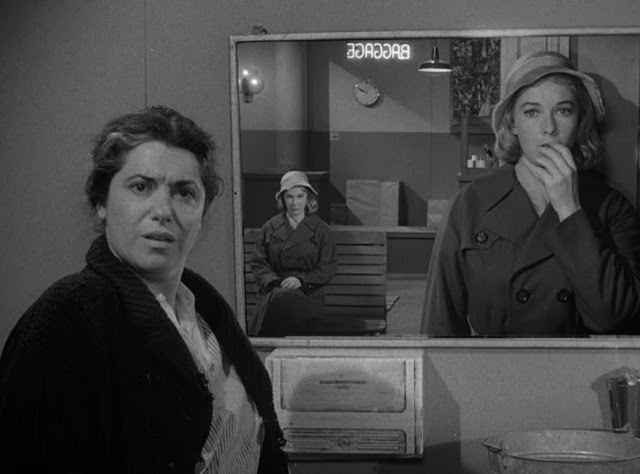 Still, this is an effective way of using the Twilight Zone as an entity, as Nan Adams is still in constant contact with people all along her journey, even though that is patently impossible if the conclusion is the reality. 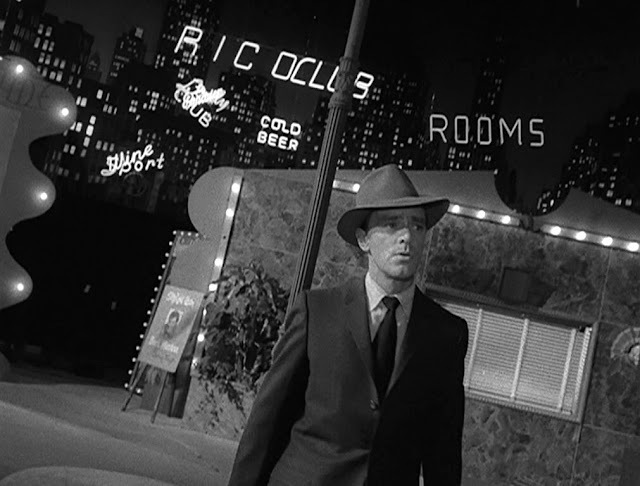 Thus, by swerving in and out of the Twilight Zone the story meshes together well. Despite this, I find my attention not being fully focused throughout this episode. It’s one where the story works well enough, but the lead character is played just a touch too much overwrought for my liking. Songs Of My Life #12. It would appear that Greek mythology has been an influence on my favourite songs down the years. Another one weaves its magic in this track, which floated around the airwaves back at the start of 1983. I loved this track, and it became one of those many songs through the years that I grew an obsession with, often playing it and rewinding it and playing it again. It appeared on the album 1983 The Hot Ones as the second song, after Billy idol's White Wedding, so I wore that tape out listening to only those two songs and then rewinding to the start again. I still love it, and think it would make for an excellent heavier conversion as well. Yet another of those perfect episodes where everything is not as it seems, and it isn’t until the final twist is revealed at the conclusion that everything falls into place. A space flight crashes on an unknown planet or asteroid, with half of the eight man crew killed on impact, and the other four fighting for survival. While one lays dying and the two senior men trying to save him, Corey seems more intent on how he will survive rather than the group. As a result, he spends most of the episode finding ways to ensure his rations are filled, not matter what the cost. Even a crewmate’s life. As always this is excellently performed and written, allowing the story to be constantly moving forward and not standing still. When the ending comes, and everything is drawn together from the clues given throughout, it comes as a pleasant surprise for the viewer, though not for the characters within. For a couple of months back at the start of Year 11 in 1986, we had an American show up in our year. I never knew his last name (or if I did it has been lost in the mists of time), but he was always known as Big Steve. He was there long enough to get in our school photo that year, right at the back. He was a funny guy, but his biggest claim to fame is that in the music he brought with him and introduced us to, he had several albums by bands called Night Ranger and Dio. All three of their albums to that point in time - Dawn Patrol, 7 Wishes and Midnight Madness - became regular listening, and the lead song from the first album was "Don't Tell Me You Love Me". It's not only a song I enjoyed then, it is also a song all three of my kids got to know from a very young age, as we watched this video clip on the computer time and time again, so much so that they can all still sing the words whenever it comes on. Songs Of My Life #9. I spent the majority of the Summer of 1985 making my acquaintance with my first major dalliance of the genre of heavy metal music, and in particular the music of Iron Maiden. It was the Triple Threat of their albums that I had at the time - The Number of the Beast, Piece of Mind and Powerslave. I listened to them and took in what they offered, but the first song that grabbed me and made me a fan was this one. Why? In essence it was because it was about the Greek mythical tale of Icarus, the fact that the song told that story in a little under four minutes, and threw in the amazing sound of Iron Maiden into the bargain. It wasn't long before the whole collection had become one with me,and a love affair of over 30 years and counting had become. But it was Flight of Icarus that started it all for me. Photo of the Day #9. You know things are getting desperate when your 12 year old daughter is closing in on your height. Photo of the Day #8. How many jugs are enough? Yesterday our hot water system blew up, meaning we have been without any water for 24 hours. So naturally you fill all the jugs and bottles you have and think "this should last". You'd be surprised how much water you actually use in the course of a day. We refilled everything three times! Songs Of My Life #8. While I am not a big fan of the Divinyls, this song always caught my attention. Initially it was the drum and bass line that was always my favourite part of the song. Chrissie Amphlett also held some "fantasisition" for teenage boys (though while others were in love with "I Touch Myself" I never enjoyed that song in the slightest). These days I think it is a classic Australian rock song worthy of its place within that history. This is yet another of my favourites, because the story not only perfectly deals with the fears and worries of the world at the time it was produced, it also fits into any time in human history and thus is always going to be current. And then there is the twist, the wonderfully executed final thirty seconds of the episode that pulls it all together to make it a classic. The story is excellent. Friends who work at the same factory have banded together. The increasing threat of a planet-wide war is looming ever closer, and it is their belief that it will be all consuming. As a result they have decided to escape, to leave and find another planet that they can inhabit. Of course, their plans could be thwarted by those who would try them for ‘treason’ if they attempt to leave. 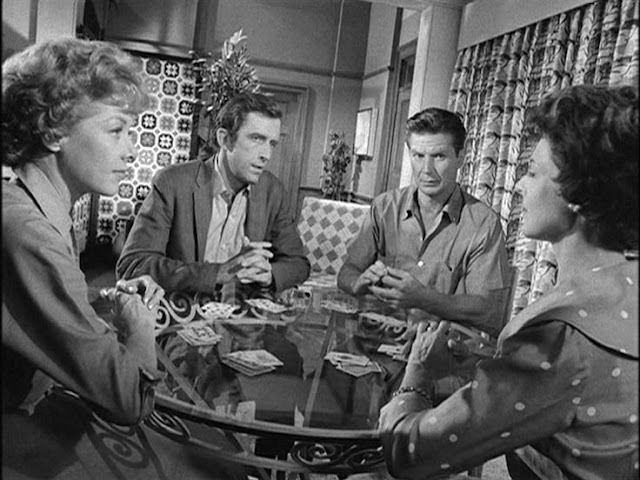 And so the individual scenes are played out in tension, the one in the lounge playing cards is especially terrific. Photo of the Day #7. It is amazing how much the sports-disinterested Madeleine still enjoys playing cricket in the yard with her brother. Josh shows his appreciation. Songs Of My Life #7 (Part 2). On the anniversary of Gary's passing, another one of his best songs alongside his great mate Phil Lynott of Thin Lizzy. RIP Gary Moore February 6 2012. It is four years since Gary Moore departed our world, and with him went some of my favourite musical memories from high school. This was the first song I heard of Gary, a cover of Free's 1973 classic "Wishing Well". Gary made it one of his signature tunes, with his passion and brilliant guitaring. Anyone who watched Rage sometime through 1986 or 1987 would have seen this clip. RIP Gary Moore. February 6, 2012. Given the excellent stories that had come one after the other, there was always going to be a downside sooner or later. And for me that is this episode, which leaves a bit to be desired. The idea behind the story is sound, a man who is able to change his face to look like anyone he puts his mind to. That could be a pretty handy skill. And the way our huckster goes about his schemes is fair enough. But seriously, are we expected to believe that he changes his face into a boxer he sees on a bill, and then happens to run into that person’s father – not once, but TWICE! – and that he has a serious grudge against him? C’mon guys. Not likely. Whether this is a Twilight Zone episode or just a crooked crook show is debatable. It didn’t pull any strings with me. Photo of the Day #6. My niece @charliparkerr_ with a typical facial expression. Songs Of My Life #6. Dad had this album when it was released, and it often got played in both the car and at home. Over the years it was ingrained in me, and all of the songs became favourites. Yes, even "For Crying Out Loud". The obvious favourite is still this title track, which contains a bit of everything. A bit of theatre, a bit of opera, a bit of pop and some hard rock rockin'. Photo of the Day #5. Jess has just arrived home from her first full week of high school. A little hot from the walk home but still hyper and talkative as she has been all seven days. Songs Of My Life #5. Well, it's Friday so I guess we can all relate a little bit to this. I still remember it from the radio back in 1981, and I'm pretty sure it made the playlist at our Year 6 Dance at the end of that year. In recent times, every time I hear it all I think about is Derek Zoolander back in the pit with his father and brothers becoming a miner. Great stuff. The D-Generation has spawned dozens of TV shows and radio programs and movies and stand up acts. These two songs perfectly sent up Australia's best rock and pop stars and showed how clever they were. If you can find their two albums - pretty sure The Satanic Sketches is on You Tube and the Radio Years with Wayne from St Albans - do yourself a favour and listen to them. Photo of the Day #4. It's the Chook Expressway on their way to more food. The good versus evil theme is revisited here. Certainly the evil is big time evil, with the character of Fred Renard being thoroughly nasty, and his bullying evil nature is one of those that Rod Serling takes great pleasure in making sure they get their comeuppance. I also like the idea of the character of Pedott, who knows ‘what you need’. But no, it isn’t fame or fortune or anything so fanciful as that. They are small items that he passes on, with no immediate apparent reason for what they could be for. Of course, within a matter of minutes, a situation arises where they become completely useful, and Pedott’s mysterious character is justified. This obviously means that is someone discovers he can do these things that they will want to abuse it. And that is where the story meanders to. Perhaps it doesn’t end as wonderfully as it could, but this doesn’t change what is a well presented story. Songs Of My Life #3. This was the first song I ever saw at a live gig. My first gig was seeing Dio at the Sydney Entertainment Centre on September 13, 1986. It still remains as a defining moment in my life. My memory of it is exactly as this clip shows - this DVD was recorded less than three months before our group saw them. Photo of the Day #3 A bit of backyard cricket between the younger siblings. Songs Of My Life #2. With a name like William / Bill / Billy there are a few songs out there that people sing back to you because of the lyrics. I got this fairly often through primary school and occasionally through high school. It was a hit when it was released so it was on the radio a lot and also on a couple of Mum's mixed tapes of the period. 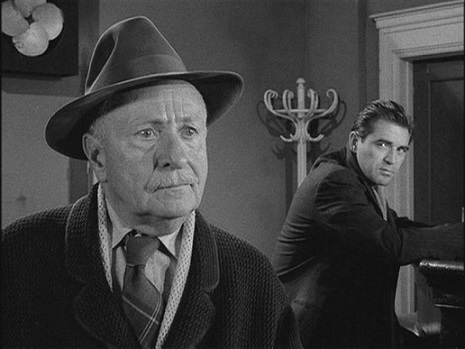 Another ripping episode that utilises the best aspect that the Twilight Zone can offer. And as good as the acting is, it’s the writing that brings it to the fore perfectly. 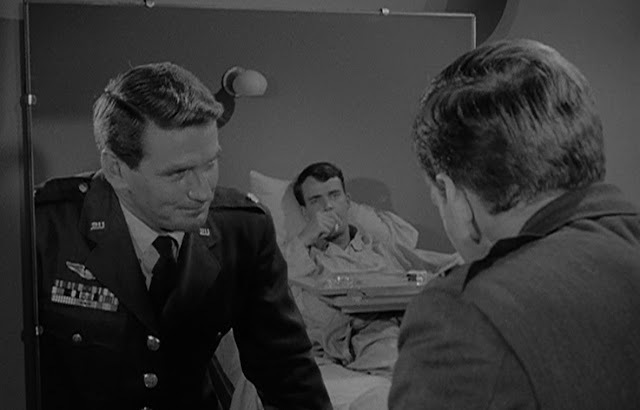 Starting off the episode in the hospital room of Bill Gart and being visited by his comrade Clegg Forbes, both of whom have just returned from piloting an experimental spaceship is perfect. Everything seems normal, until Clegg insists that there was three of them in the ship, and now the whole world – including Bill – is certain that there was only two. From here everything looks as though Clegg has lost his mind, before we go back to the previous day and see what happened while Bill was stuck in his hospital room. Rod Taylor is brilliant as Clegg, as he tries to work out what is happening to him or around him. 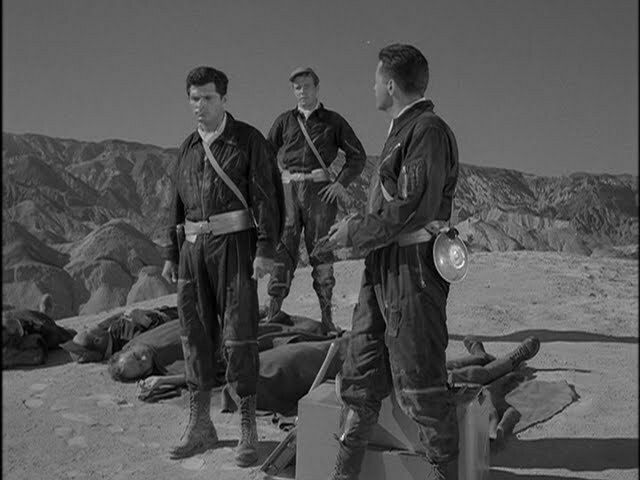 The episode progresses as one would expect, and ends in the same perfect way, leaving the explained and unexplained to lie in those vast reaches of the Twilight Zone as they should. Entirely entertaining. Still reminds me of the final days of Year 6. I've always loved the opening drum and guitar riff, as well as having a crush on Belinda Carlisle. Great upbeat song that translates well to a faster and heavier conversion. Photo of the Day. Storm front hits Albion Park. 3.40pm.